Big dreams deserve big rewards, and we are proud to partner with Sam's Club® to recognize the very best in American small business. 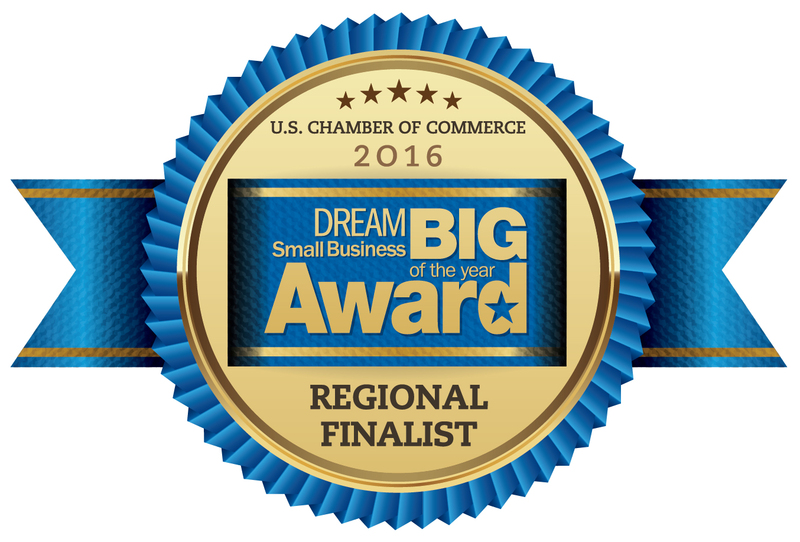 The 2016 DREAM BIG Award Winners were selected from a record number of applicants from across the country and were judged in four key categories: strategic planning, employee development, customer service, and community involvement. The Small Business of the Year, 7 Regional Finalists and 100 Blue Ribbon Award Winners were honored at the 12th annual America’s Small Business Summit, June 13-15, in Washington, D.C.
Congratulations to SearchPros Solutions of Citrus Heights, California! SearchPros, which handles workforce management, rose to the top among seven standout regional finalists and was named the 2016 Small Business of the Year at America's Small Business Summit on June 14.. Read more about SearchPros. The Community Excellence Award was decided by online public voting, and this year's winner was Jimmy Wright, President of Wright's Market in Opelika, Alabama. Learn more about Wright's Market. Creative Business Solutions, Inc. | Washington, D.C.